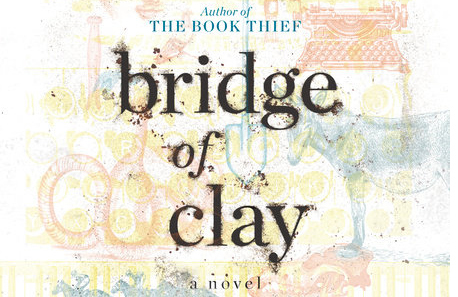 I couldn’t wait for the release of Markus Zusak’s Bridge of Clay because The Book Thief is one of my favorite books. In his latest, Zusak tells the story of the Dunbar boys who are lovable but broken, and over the course of the 400-page book he sews them back together. The book’s characters are familiar and the internal struggles of the suburban boys who range from 10 to 20 years old are heavy and complex. Zusak said in an interview, “I like the idea that we think we live these dull suburban lives, but they’re also big lives: we all fall in love, we have people die on us, we all have big arguments in the kitchen. I wanted to write that book which portrayed a suburban richness and wealth,” he told Clarissa Sebag-Montefiore of The Guardian. Cut to a scene of a writer at his desk, body curved like the letter C around a laptop, or a script, or a typewriter (an old T.W.). Every tap or scribble is intentional and meaningful. There’s a single light illuminating what is right in front of him and it glows—a spotlight on the poorly attended performance. Yes, he’s alone. Of course, he’s alone—how can anyone write with another person breathing down their neck? From afar, the scene can seem idyllic, even to writers or at least those who suffer from short-term memory loss, but up close, in the thick of it, we know, it’s backbreaking labor. “That book is made up of pretty much everything in me–that book’s everything I’ve got,” he said. Isn’t that all we can do? Put everything we have into the project that’s right in front of us. At least, until it’s finished, and then we get to do it all again.